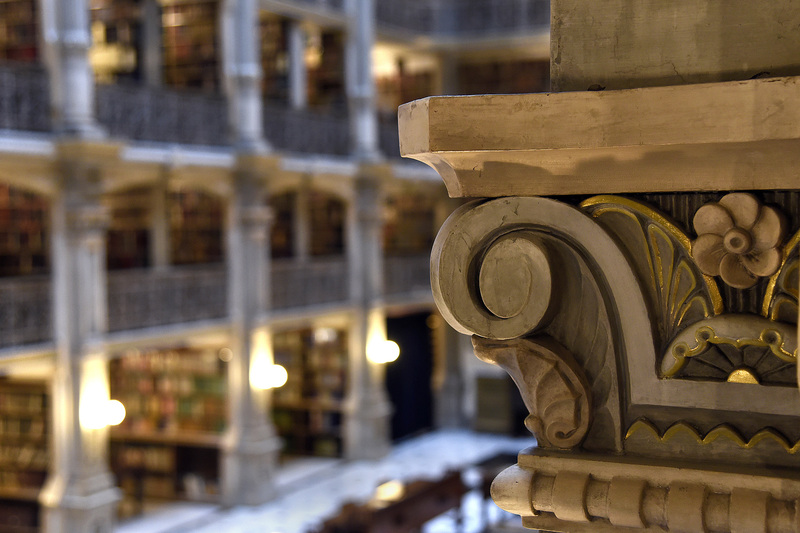 One of Baltimore’s many architectural treasures is the George Peabody Library at the Peabody Institute of Music in Mount Vernon. 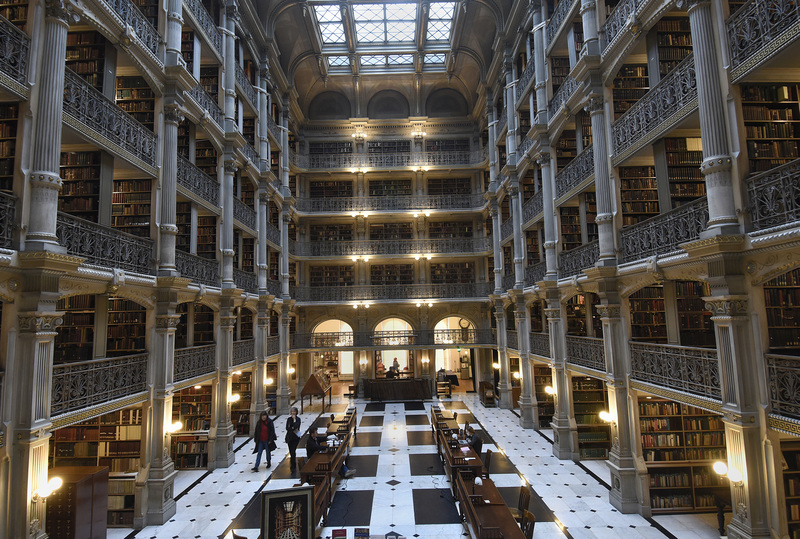 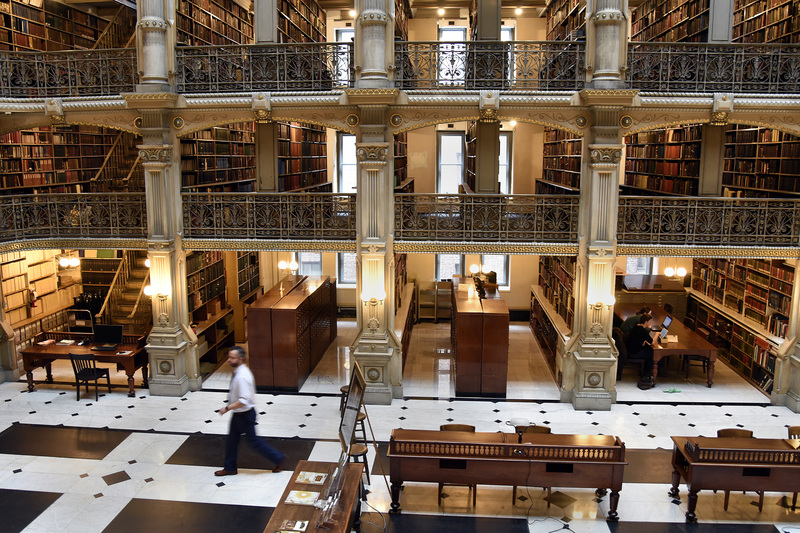 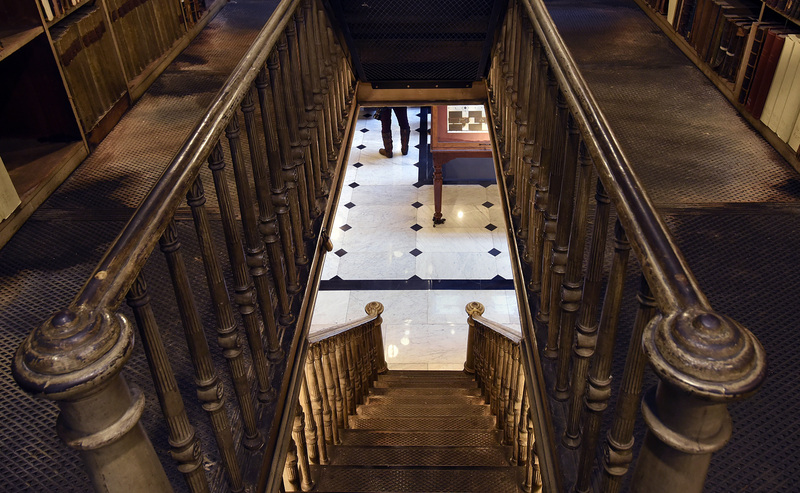 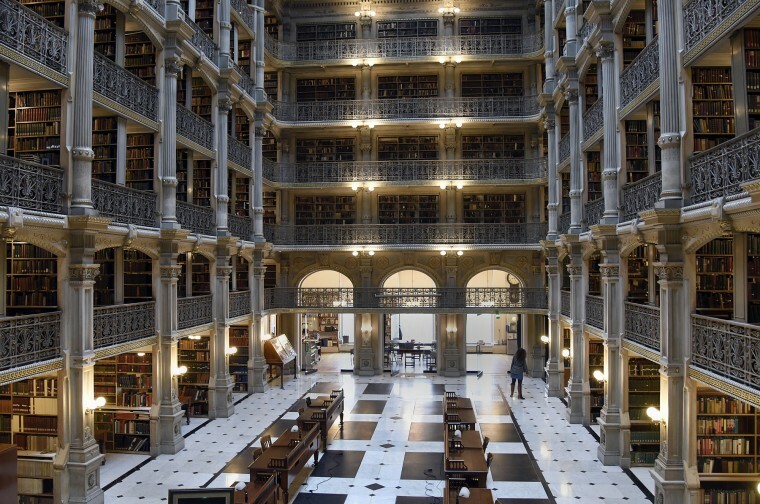 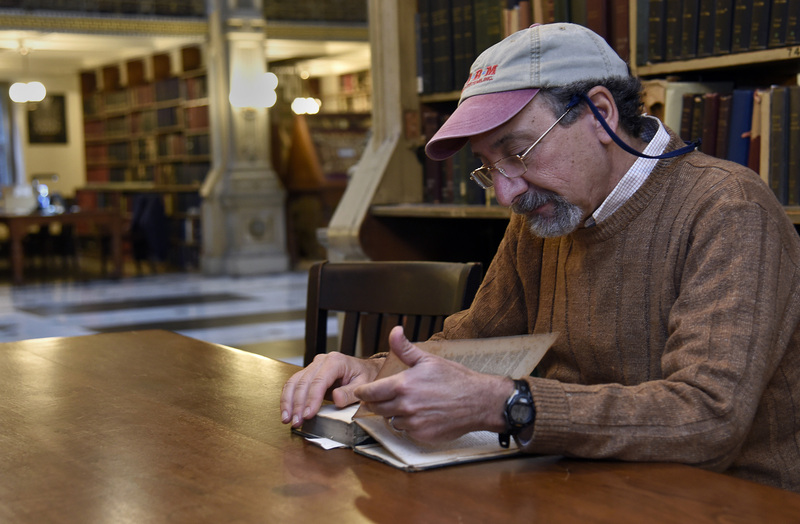 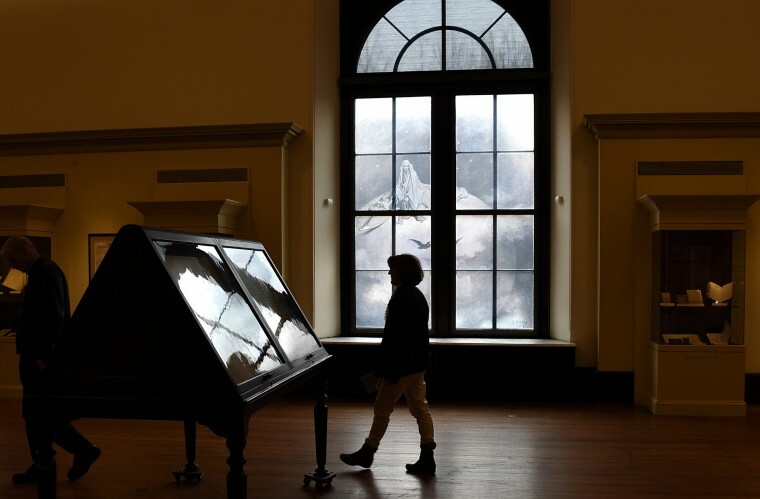 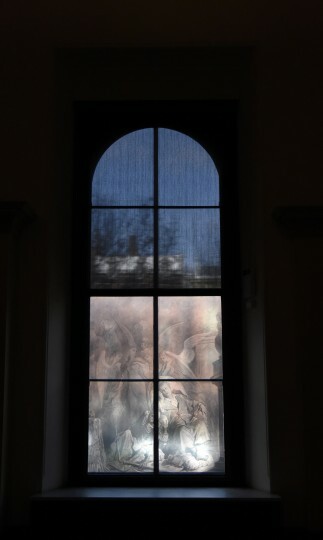 Built in 1878, it is now part of the Sheridan Libraries Special Collections of Johns Hopkins University. 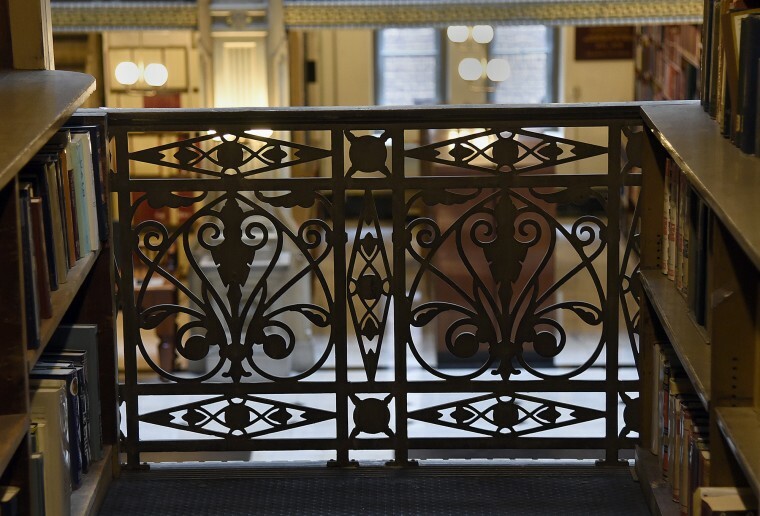 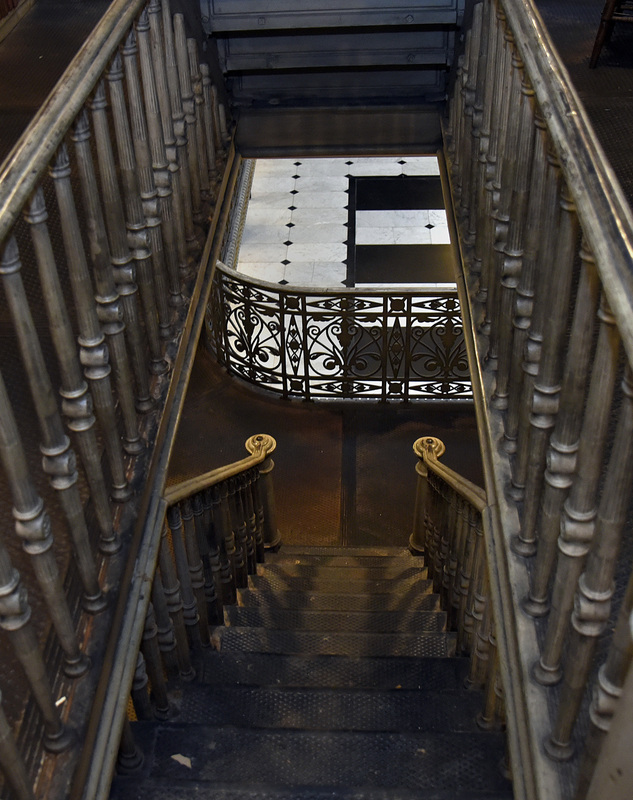 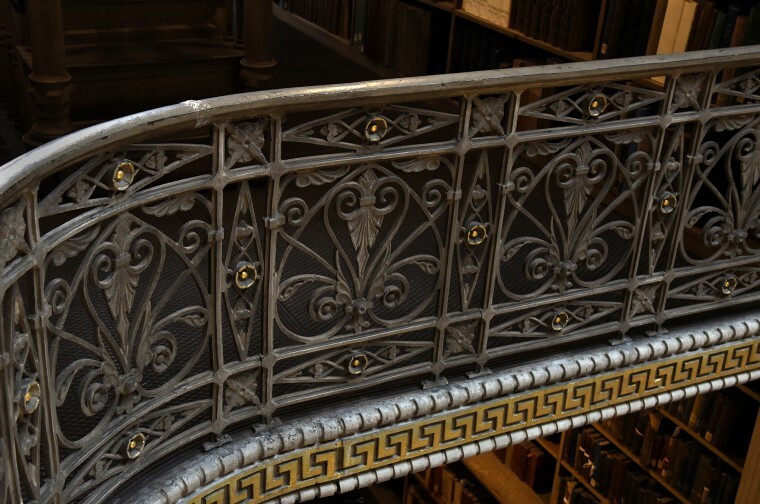 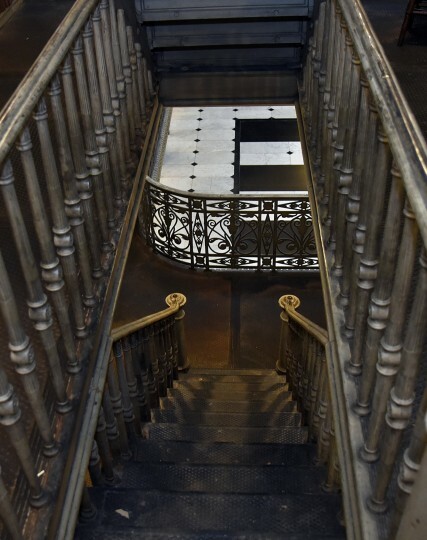 The library’s dramatic “stack room” is 5 tiers of ornamental cast iron balconies brimming with books. 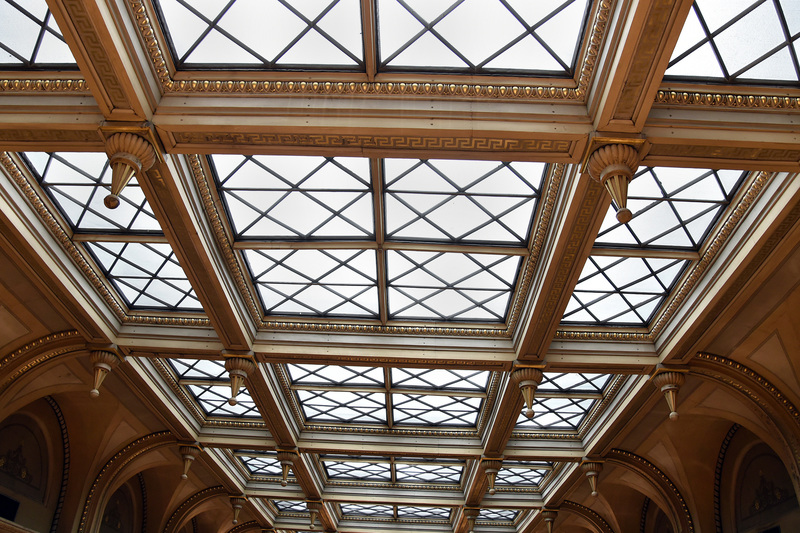 The monumental space is capped with a huge skylight 61 feet above the floor. 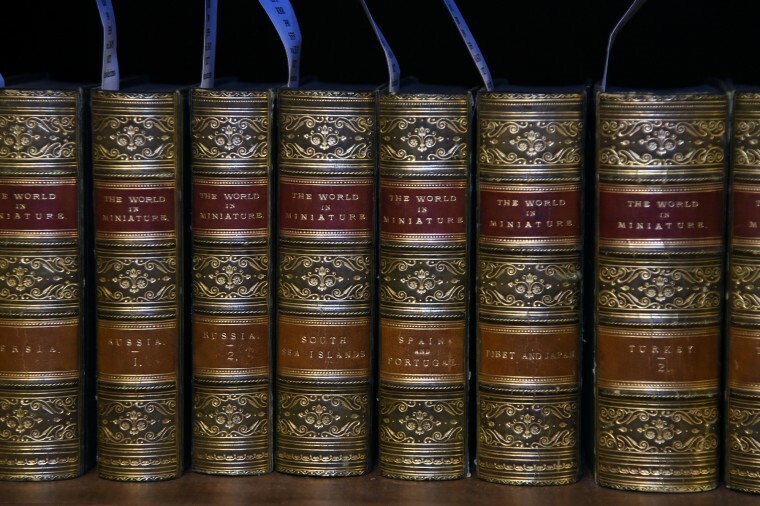 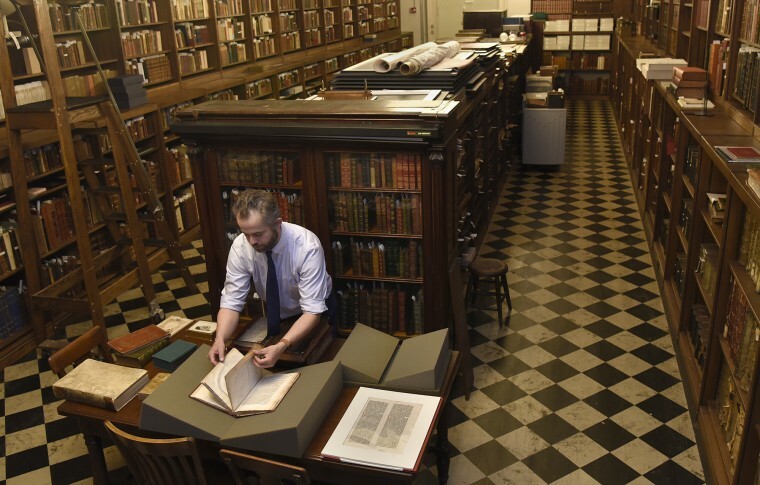 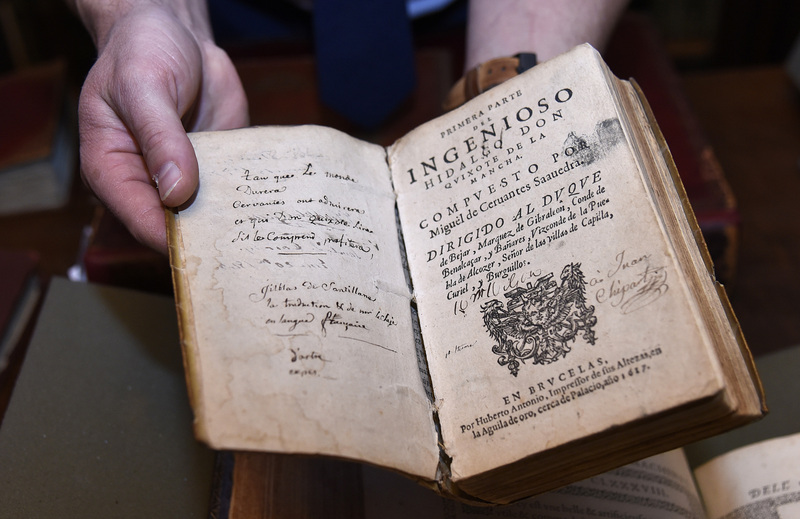 Three hundred thousand volumes on nearly every subject are contained in the library’s universal collection. 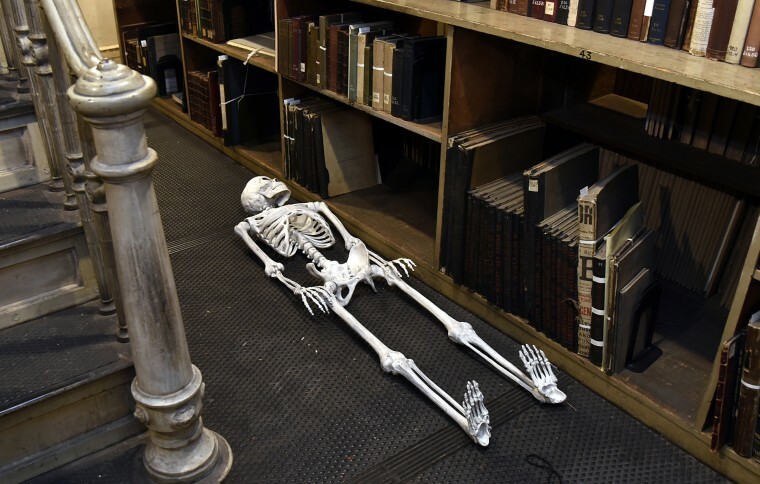 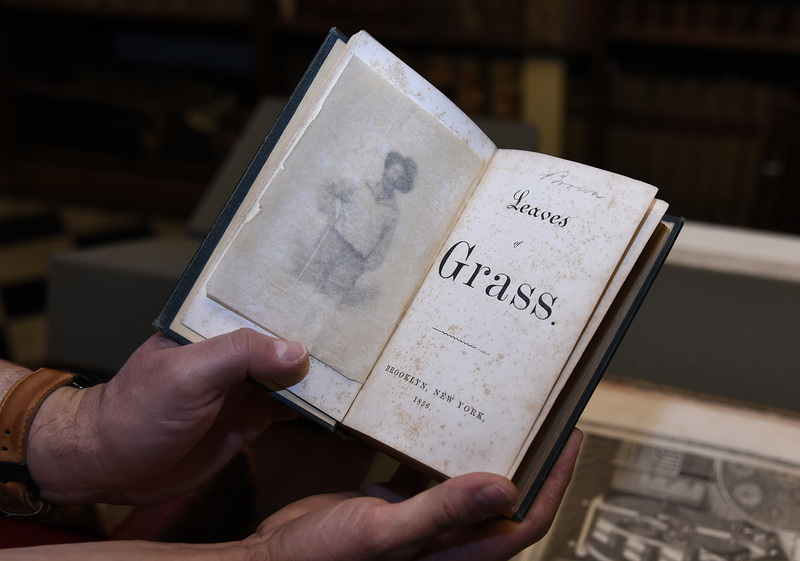 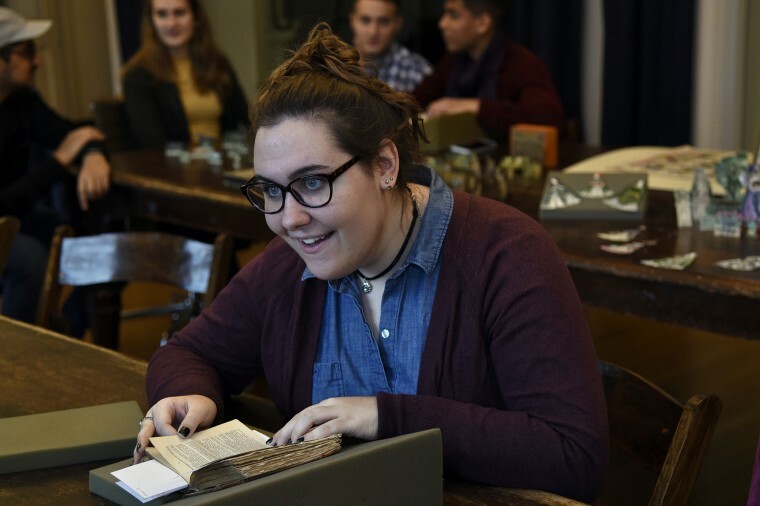 The collection is non-circulating which means that, while the collection is open to the general public, books can only be read inside the library.